The idea of a Donald Trump presidency seems downright scary to one of Wall Street's most powerful people. 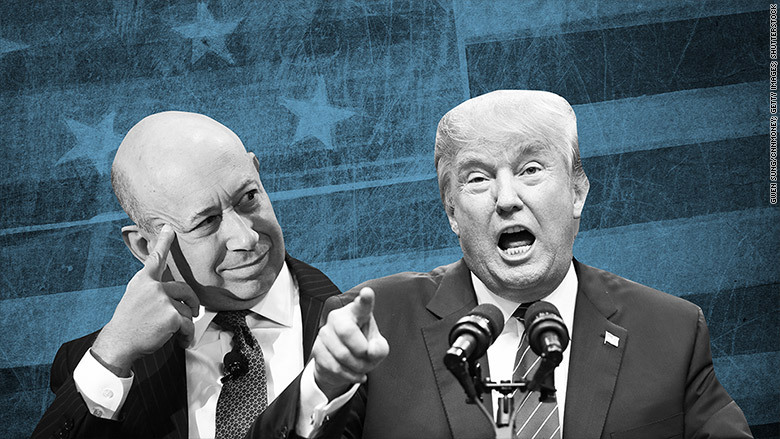 Trump having his "finger on the button blows my mind," Goldman Sachs CEO Lloyd Blankfein said on Wednesday. Blankfein appeared to be referring to the U.S. president's ability to launch nuclear weapons. The Goldman chief's comments at a Wall Street Journal leadership event underline how terrified the financial industry is about the possibility of Trump winning the White House. Once seen as a longshot candidate, Trump has been consistently leading the GOP field for weeks. The latest polls show him easily beating establishment candidates like Jeb Bush that Wall Street would clearly prefer. Trump has hated on the financial industry in campaign speeches and represents a threat to the cozy relationship between big banks and politicians of both major parties. The billionaire mogul called high CEO pay a "disgrace," and promised to close loopholes that allow hedge funds to pay lower income taxes to Uncle Sam. Trump's rise in the polls could signal American voters' preference for political dealmakers instead of ideologues, Blankfein said. The Goldman chief's comments come as Trump prepares to debate 10 Republican rivals at Wednesday night's debate airing on CNN. Blankfein also threw in his two cents on the other blockbuster event captivating financial markets: the Federal Reserve's high-stakes interest rate decision. Economic statistics don't seem to support the idea of the Fed hiking rates on Thursday for the first time in nearly a decade, Blankfein said. "I wouldn't do it," he said. That puts the Goldman chief on the side of most market participants, who believe fears about a global economic slowdown led by China will force the Fed to delay a rate hike. Still, Blankfein said he thinks it's "inconsequential" whether or not the Fed ultimately decides to raise rates this week. Blankfein acknowledged that China's economy is undergoing a huge economic transition and that officials there do understand the challenges ahead. However, like many on Wall Street he was critical of Beijing's heavy-handed efforts to halt a crash in the country's stock market. Blankfein called China's intervention "ham-handed" and "sloppy" and said now is not the time to buy back into that stock market. But he didn't stop there. Blankfein said U.S. financial regulations ushered in after the 2008 crisis have "gone too far" and pointed to the mortgage market as an example of where banks aren't lending much due to legal risks. 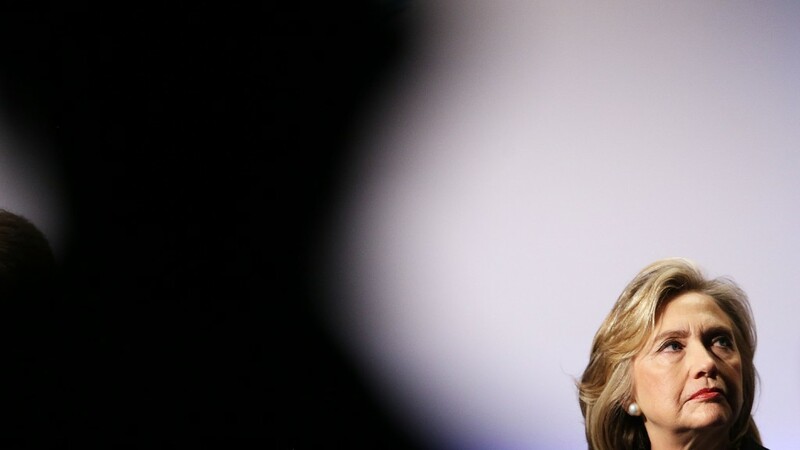 Will Goldman's top man back Hillary in 2016?